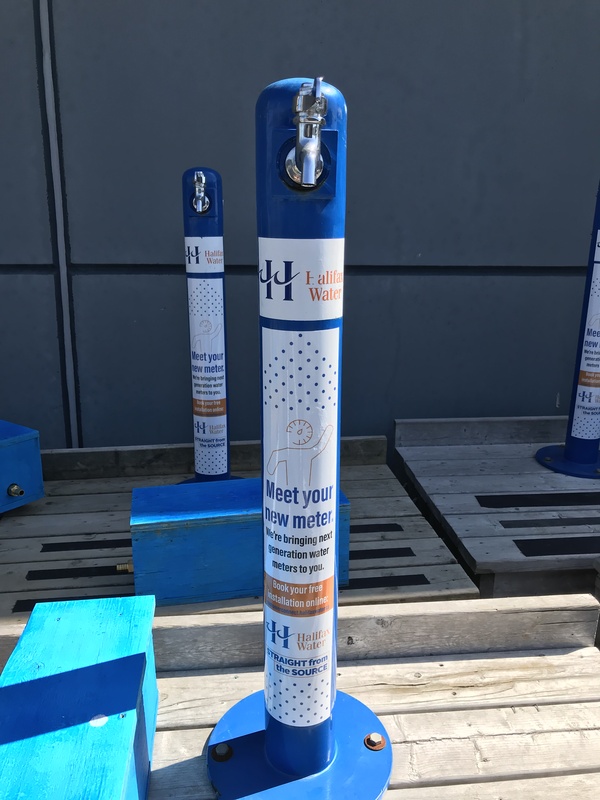 Halifax Water is proud to maintain several portable tap water stations that can be used at many community events. These portable tap water stations are designed to promote tap water usage as an alternative to bottled water consumption. All your event needs is an existing water service hook-up or a Halifax Water fire hydrant. If you’re not sure if the venue has one of these, contact Halifax Water to find out. Portable tap water stations are reserved on a first-come, first-served basis and must be booked at least three days in advance. Call us at 902-420-9287 to book a water tap for your next community event. Look for the Shed at popular public events and locations throughout the community. Stop in and have a chat, learn more about Halifax Water and what we do, play some games and win some prizes.